This automatic, light-sensor air freshener dispenser provides a pleasant washroom experience - guaranteed. This automatic aerosol washroom dispenser is ultra-reliable, low profile, low maintenance units that have proven themselves in a demanding and competitive field. The best air freshener dispenser available in Australia. It can also be used as insecticide dispenser. 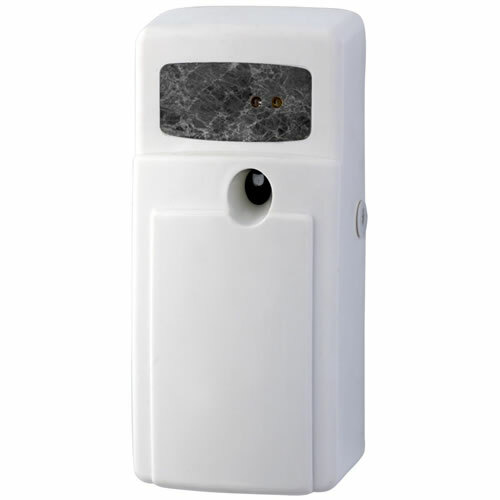 ABS Plastic day/night sensor dispenser that has a dimension of H210 x W100 x D80mm. Use this with air freshener fresh plus fragrances in cans. 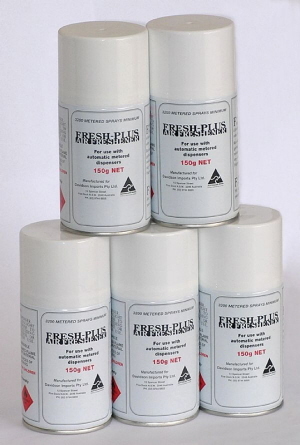 Fresh plus aerosol cans has 4% perfume and a capacity of 3400 sprays. Use it with automatic air freshener dispenser.